Your coworking home in Finland. 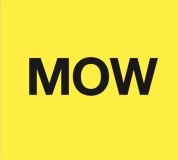 MOW Mothership Of Work is serious about the future. The future of work, the future of life, the future of community. But we're also about being laid-back, respectful and creative in everything we do. We create and run the kind of spaces where we know we want to spend time in, with a community of likeminded folks from all walks of life and fields of work. Coworking hubs – two in Helsinki, one in Tampere. For as many as you need, you can grow with us.